In the latter half of the 19th century, Japanese society underwent a process of rapid modernization along European lines, which was encapsulated by the governmental slogan ‘civilization and enlightenment’. Emperor Mutsuhito (throne name Meiji) became the symbol of the political upheaval of this period. His reign saw the abolishment of the feudal system of the Edo Period and the 270-year-long military rule of the Tokugawa shogunate. Alongside the steam engine, gas lights, and the hot-air balloon, photography was one of the seven key hallmarks of the country’s ‘unconditional Europeanisation’. 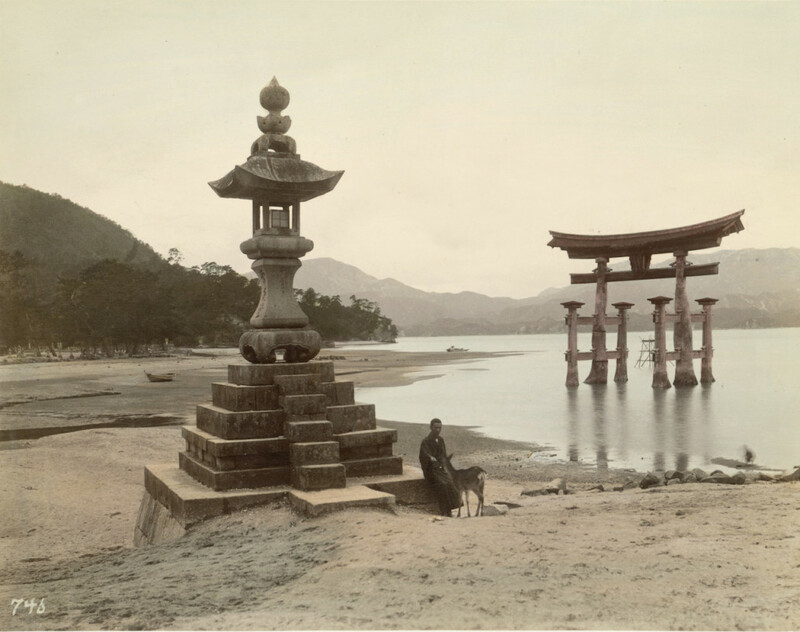 First introduced by the Americans and the British, photography was seen as the absolute embodiment of Western technology and progress among those sections of society keen for Japan to open itself up to the world and embrace the modern age. After several foreign-owned photographic studios set up for business, Japanese photographers soon followed suit by opening their own. The clientele for both kinds of studios were typically long-term visitors and tourists, and there was a great surge in photography between 1868 and 1912. The exhibition features some 200 images from the most important commercial-photography centres in Japan. 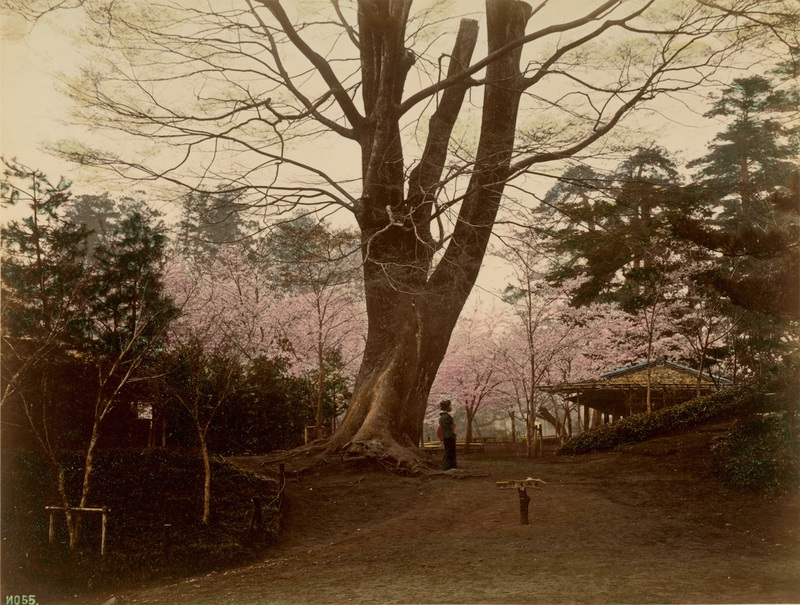 The display opens with works by Ueno Hikoma and Uchida Kuichi from Nagasaki, followed by work by Yokohama-based photographers Felice Beato, Baron Raymond von Stillfried-Rathenicz, Adolfo Farsai, and Kusakabe Kimbei, as well as Ogawa Kazumasa of Tokyo. The show offers a comprehensive survey of the major themes and stylistic devices of the Meiji Era. The featured works range from ethnographic typologies and staged genre scenes to artfully stylized portraits, nature studies, and architectural photographs. They form a canon of photographic travel shots, intended for visitors on a Far-Eastern ‘Grand Tour’ as souvenirs of their trip for universities and colleges back home, or as visual records to bolster and fuel the exotic imagination. 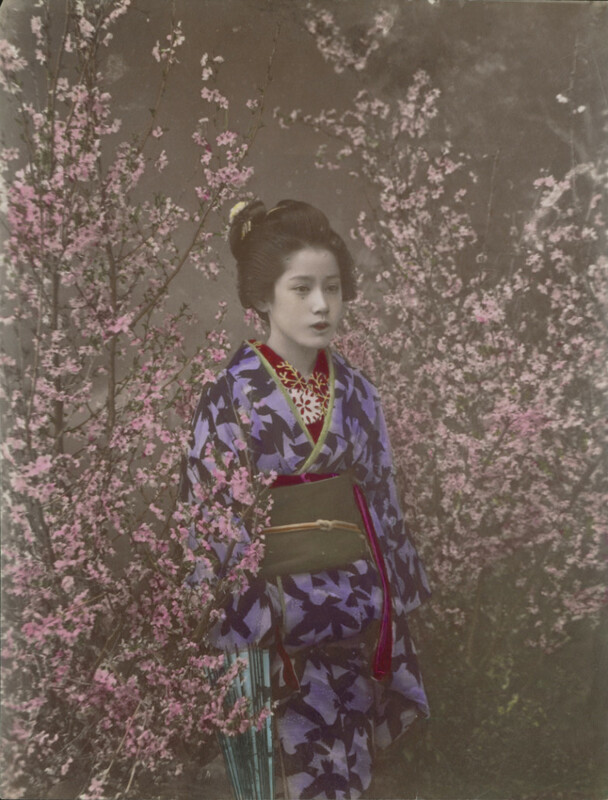 Geishas playing and dancing to the shamisen, samurai, sumo wrestlers, kabuki actors, temples in Tokyo, or Nikko, or on Mount Fuji embody the stereotypes of the paradisal land of the cherry blossom that had been widely perpetuated in the West since the 16th century. The photographs exploit these clichés. At the same time, they often seem to cast doubt on the authenticity of the depicted experience. In der zweiten Hälfte des 19. Jahrhunderts erlebte Japan unter der Losung “Zivilisation und Aufklärung” eine rasante Modernisierung nach europäischem Vorbild. Zur Symbolfigur für den politischen Umbruch wurde Kaiser Mutsuhito (Thronname Meiji). Unter seiner Regentschaft wurde das Feudalsystem der Edo-Zeit abgeschafft und die fast 270-jährige Militärherrschaft der Tokugawa-Shogune beendet. Die Fotografie galt neben der Dampfmaschine, dem Gaslicht oder dem Heißluftballon als eines der sieben Standardwerkzeuge zur “unbedingten Europäisierung” des Landes. Zunächst von Amerikanern und Engländern eingeführt, verkörperte sie für die an einer Öffnung des Landes interessierten Kreise die westliche Technik und den Fortschritt schlechthin. Schon bald etablierten sich neben den ausländischen Studios auch japanische Ateliers. Beide arbeiteten hauptsächlich für Langzeit-Gäste und Touristen, wobei es zwischen 1868 und 1912 zu einem enormen Aufschwung der Bildproduktion kam.